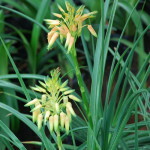 Aloe boylei is a very hardy, stemless aloe with long, narrow, yellow-green leaves arranged in a fan shape.A lovely garden plant and a beautiful addition to a grassland or marsh area. 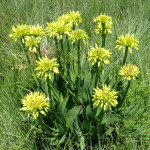 A lovely garden plant and a beautiful addition to a grassland or marsh area. 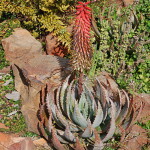 This hardy aloe grows as a single, stemless, densely leaved, large rosette. 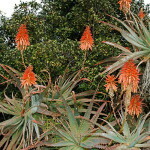 The robust flower spikes are yellow, red or bi-coloured. 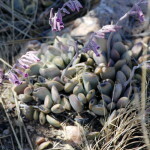 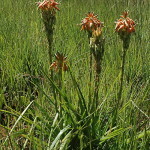 This Aloe is common on the Highveld and should be prominent in rehabilitation projects. 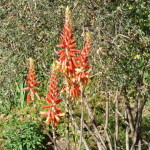 A hardy, small Aloe that is normally stemless. 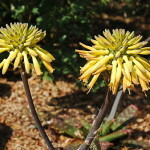 It produces flowering heads of distinctively flat-topped racemes. 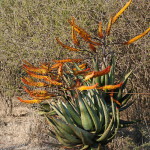 Horizontally branched spikes of tubular orange or red flowers are borne from May to Aug. 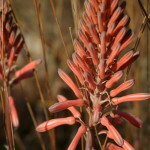 This is one of our most beautiful small aloes that is restricted to the Magaliesberg region.